LOS ANGELES -- American Honda posted its best May since 2008 with sales of 133,997 units, up 48 percent from a year ago when Japan's March 2011 earthquake began to disrupt inventories. But for many Honda vehicles, last month was strong regardless of circumstances, helping the automaker recover U.S. market share. Despite a spate of unflattering reviews for the Civic, consumers are flocking to Honda's compact coupe and sedan line. Civic sales blew past 33,000 units -- its best month of the year by more than 5,000 units. "Civic sales were helped by strong leasing programs," Edmunds.com senior analyst Jessica Caldwell said. "But ultimately its key asset is its brand credibility, which helps when there are people entering the auto market timidly after an extended period of time." Meanwhile, the aging Accord, set for a redesign this fall, continues a strong sell-down, pushing nearly 30,000 units out the door, partially due to an aggressive dealer stair-step incentives program on the model. The recently redesigned CR-V crossover continued to enjoy a strong marketing launch with more than 25,000 units sold. "It's obvious Honda's return to strength is in full swing, and our May sales are impressive irrespective of last year's production supply problems," John Mendel, American Honda executive vice president of sales, said in a statement. "Any time Honda Civic sales surpass 33,000 units in a month, it shows real demand in the marketplace." Honda ended 2011 with 9 percent of the U.S. market, down from 10.6 percent for all of 2010. With its 2012 sales up 10 percent, just below the industry's overall sales gain of 13 percent, Honda's market share has rebounded to 9.6 percent through May. 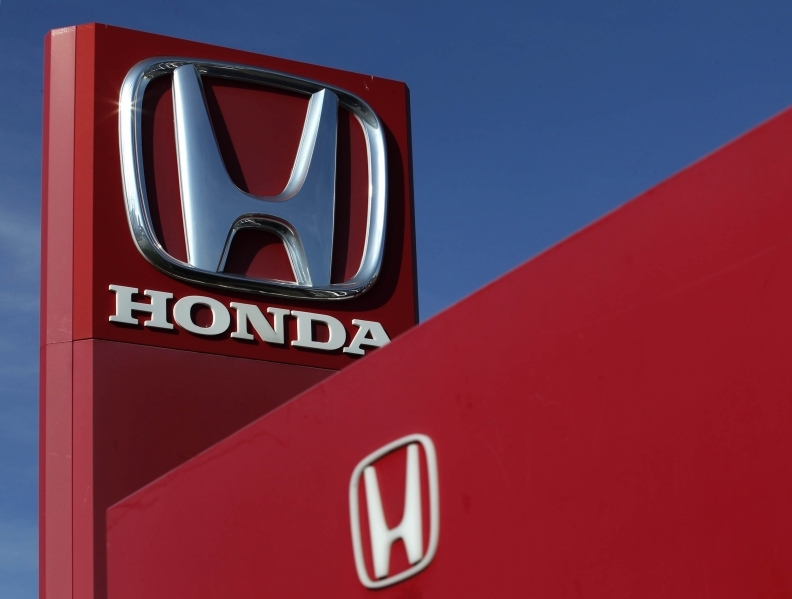 Honda spokeswoman Alicia Jones said that Honda transaction prices "remain fairly steady compared to the rest of 2012." Jones, citing Power Information Network data, said Civic and CR-V transaction prices are relatively consistent. And while Accord prices are down gradually from earlier in the year, they are up from April. Honda inventories "are now in a strong manufacturing position, although we continue to work on balancing the trim levels available in dealer inventories," Jones said. On the downside, Honda appears to be limiting exports of made-in-Japan products, especially more fuel efficient models. With big government incentives in Japan for fuel-efficient vehicles, Honda is keeping those vehicles at home, rather than battling tough exchange rates to sell them here. Sales of the Fit, Insight and CR-Z continue to slump. The same goes for the Civic Hybrid, the only trim level of the Civic made in Japan. At Acura, a strong launch for the redesigned RDX -- the crossover hit a sales record -- helped push the division's volume up 62 percent. The MDX crossover and TL and TSX sedans also had strong months. Next month, the just-introduced ILX sedan should push Acura even higher, unless the new model cannibalizes TSX sales.